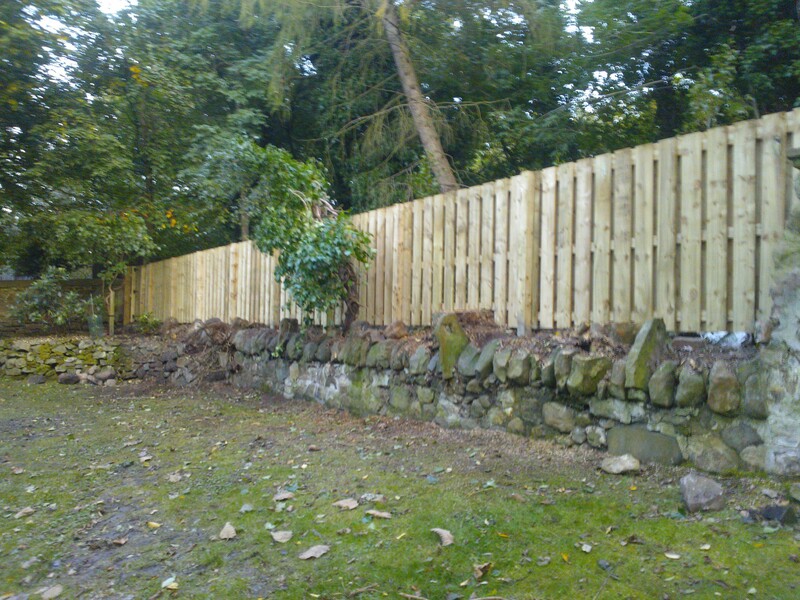 Garden Fencing Edinburgh- this fence was installed at the Hermitage, Edinburgh. The syle of fencing is slatted boards 100mm wide fixed onto rails secured to 100mm posts which are concreted into the ground 600mm deep. The slats are fitted to both sides of the rail and are offset to allow wind to pass through the fence. This serves two purposes – reducing wind turbulance to lea side of fence and reducing wind strain on the fence. It also looks good! All the timbers are fsc sourced and treated. Call David on 0800 3286458 or info@garden-co.com for a free no obigation quote. This entry was posted in Garden Fencing Edinburgh, Fencing Edinburgh, Fencing Services Edinburgn,, Guides, News and tagged Fencing Edinburgh, Fencing Services Edinburgh, Garden fencing Edinburgh by Garden Co. Bookmark the permalink.